SouthPark Physical Therapy: How Can Acupuncture Help Me? There are many ways to heal your body when you become overwhelmed with stress and tension. Physical therapy, yoga, pilates, and many other techniques each handle a different aspect of stress and discomfort, giving you a wide array of choices. Southpark Physical Therapy is proud to also offer our clients the soothing healing benefits of acupuncture. Acupuncture is a great choice when you need to get rid of demanding, high levels of both stress and discomfort. What can acupuncture do for your body and mind? There are countless benefits, each amplified by personal situations and reasons. From reduced migraines to a boosted immune system, many research backed results have been attributed to the practice. Sleep can be a fleeting thing, especially in our overworked world. Insomnia affects around 1 in 4 U.S workers. A lack of sleep can be dangerous on the job, behind the wheel of the car, and even when maneuvering around one’s own home. Acupuncture can help lull you into a calm slumber by increasing neurotransmitters associated with sleep. Insomnia may be a terrible strain on the mind and body but it can be eased with regular acupuncture sessions. Blistering headaches can ruin entire days. Acupuncture addresses this within four weeks if utilized regularly. Acupuncture has been known to grant lower back pain relief to affected individuals. Menopause is a new and scary time in the life of older women everywhere. With the healing help of acupuncture, that discomfort can be lessened. There are many people with terrible to horrific allergies. 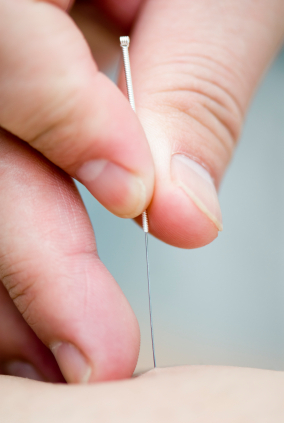 A skilled acupuncturist can ease those symptoms with regular sessions. Our moods are challenged by daily struggles, constant stressors and lots of other indirect parts of life. Acupuncture can help combat depression when done consistently. The same neurotransmitters that ease you to sleep help with mood and relaxation, giving you relaxing joy and a sense of ease. Acupuncture continues to ease the stress and pain of people the world over. It’s an ancient practice that South Park --- is glad to offer, and we hope you’ll give your body and mind a chance to rest.